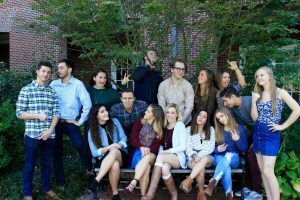 Stacey Kay of the acapella group Eh440 joined WVUD to discuss the group’s upcoming performance at the University of Delaware’s Perkins Live event, Friday, October 6. Stacey raves about her group’s fun dynamic and discusses the fun adventures Eh440 has had across the globe. Stacey Kay of Eh440, Aired live on October 3, 2017. Eh440 is a Canadian acapella group that has been performing for five years. 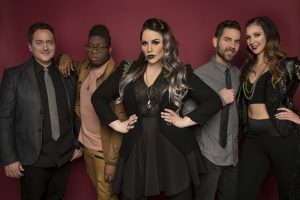 As a group, they create original songs and transform popular music into acapella covers.They have two albums, Boss Level (2016) and Turn Me Up (2014). Boss Level is also a track on their album and can only be categorized as exciting, fun, and energetic. Stacey Kay leads with amazing vocals and rap technique. Janet Turner and Tafari Anthony perform vocals as well, with Joe Olivia as bass vocalist. Luke Stapleton rounds out the group with his tremendous beatbox skills. *Only a portion of “Gibberish” and “Not the Only One” were included in the podcast due to copyright considerations.